MAG Constructions is a Sydney-based business that specialises in delivering quality building and renovation projects throughout Sydney. 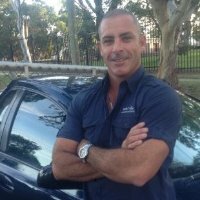 Company owner, Martin Gauci, has over 15 years' experience in the building business. Martin has always placed integrity and professionalism at the top of his 'will deliver' list, and he is dedicated to working with his clients to achieve minimal disruption and anxiety. Martin firmly believes that clear and honest communication with his clients and his team are key to the smooth management throughout every phase of the project. Every subcontractor and employee on the MAG team has been carefully chosen by Martin for their qualifications and work ethics. They have enjoyed long-term, established working relationships with the company and are committed to working to the highest standards, ensuring trust and reliability. The team at MAG Constructions deliver luxury building designs on time and on budget. We understand that things change along the way in the building process, and we accommodate the changes and design alterations without incident. The MAG team ensure that clients fully understand, and are advised about, the impact that will be made by the alterations, and are always happy to implement them into the project at any stage. As Martin says, "Changes are no problem!" Clients are always reassured that their builder is 'the guy on the tools'. Martin doesn't run the project from a desk at the other end of town ‒ he is working on the project on site, liaising with the clients and the tradesmen and ensuring that your property and your time are treated with respect. That's the MAG difference. Whether you are ready to build your new dream home or just need some reliable and honest advice about how and where to start, contact MAG Constructions. You will wonder why you put it off for so long!